The 13th is truth. This truth will make you sad. This truth will make you angry. This truth will make you weary. This truth will make you cry. Director Ava DuVernay’s eloquent, important and searing documentary about the lineage of the oppression of Black men (especially) in the United States, is streaming on Netflix now. You much watch it and shout loudly from the technological rafters at your disposal as well as in your personal encounters with others that they watch it soon…NOW. 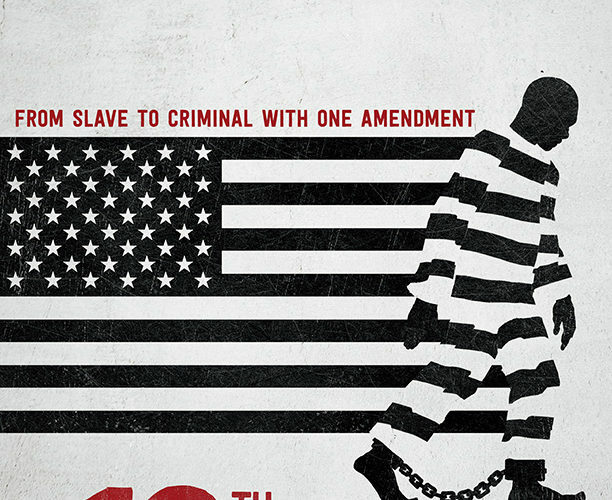 With powerful images and potently precise commentary from leading scholars, historians, and activists (some of whom were incarcerated themselves) The 13th examines mass incarceration in the United States and how it evolved from the “end” of slavery immediately after the end of the Civil War to the prison-industrial complex that incarcerates hundreds of thousands of Black and Brown men today. Despite notable victories throughout history by Freedom Fighters and activists from other tribes, the parallel story has been one of intentional, state-planned-and-sanctioned incarceration of Black men to suppress the Black community, thwart Black self-determination and, in the process, to destroy Black families. This incarceration was done for petty, often trumped-up reasons – mainly a need for free/low-cost labor – as well as to destroy any independent political thought and action in the US (the surveillance by and killing of virtually all Black leaders by representatives of the government agencies like the FBI). As a people we have been stunted in our growth and development. Between the casualties of the Vietnam War, the War on Drugs, and the mass incarceration of and murders of thousands of men, our community was stripped of many healthy, loving men, which is why so many of the heterosexual Black women I know have not had a significant loving relationship in their lives for decades, some ever. We can’t even begin to fathom how much we have lost because of all who were taken away by this assault. I don’t drink or smoke weed but I sure wanted to imbibe something after watching The 13th. I could not have gone to a public viewing of this film. I could only watch it in the safety of my home with my husband. He and I were able to share our feelings and decompress. I’ve been reading Black history regularly since I was a sophomore in high school and I read The New Jim Crow by Michelle Alexander cover-to-cover (she is one of the fabulous historians whose comments are included in this documentary). I’ve also lived through the War on Drugs (read War on Black people), welfare reform and other policies of Presidents Nixon, Reagan, and Clinton. None of that took away the potency of this incredible film. I highly recommend it as a primer on Black devastation and Black liberation. Ava DuVernay is a wizard and an incredibly wise, respectful and loving filmmaker. That respect and love under-girds this documentary and makes it even more potent than it would have been in other hands. We must love each other, take care of each other, believe in each other, forgive each other, and elevate each other as Black people. 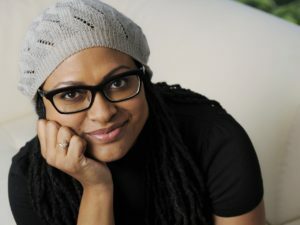 This is important because as Malkia Cyril, founder and Executive Director of the Center for Media Justice who is featured in the film says, a lot of Black people embraced the notion of the super-predator Black male and bought the hype, too. We must never stop fighting an economic and law enforcement system built on the backs of Black, Brown and other people of color and poor people. 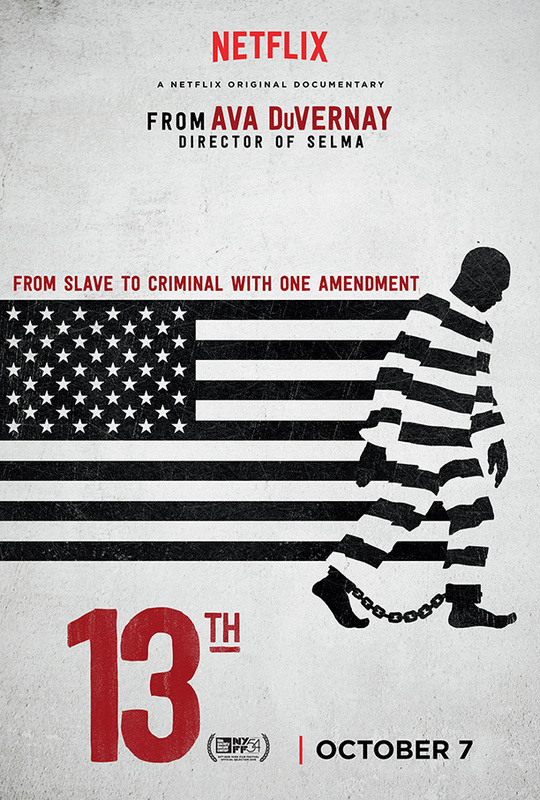 There are so many important historians and activists featured in the film, 13th including Angela Davis, Shaka Senghor, Khalil Muhammad, Van Jones and Henry Louis Gates, Jr. I cannot link to them all. See the film! I might be moving too fast, but where is the link directly to your film on Netflix. It’s not my film. I can’t link directly to it. It is available on Netflix. Thanks for commenting. Peace my sister. I saw the documentary. 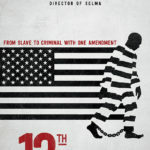 But I must say I was extremely disappointed.. Out of all these notable Black elites in the film not one of them sought to give the call to organize a movement to remove that amendment, that loophole from the constitution. Why? None of them exponded on anything new under the sun. But when do we have the courage to step up and do something about it? Everyone is in the streets yelling for an end to police violence and reforms and sensitivity training for the cops. But the truth is nothing will change until we effectively end slavery in America once and for all. Obama could have left office as the only President lead the charge to effectively end slavery in America. But it seems like we can only depend on ourselves. I’ve tried speaking out about it. I remember asking Ben Jealous to bring the topic up when he and AL Sharpton where heading down to Washington DC for that last big rally in front of the White House. He said nice move, but do you know how long it would take to change a constructional amendment? I told him that I’m not interested in excuses. The longest journey starts with the first step. Can you imagine the benefits of this kind of change? Even rallying in the streets about it could effect the presidential campaign! The main thing is that removing this 13th amendment would do much to take away the motice operandi of the police to continue raiding, drug sweeping, stop and frisking the black community. We call them slave catchers becuaes that’s what they’re really up to. It would immediately affect the prison system because they would have to give inmates real jobs with real wages that would allow them to take care of their families while inside. Also they then could afford medical insurance and get decent medical treatment. And real college education and so much more. The criminal justice system would not be so anxious to throw us in prison because of the drastic change in the economic situation. There is so much good that can come out of this. But I am so disappointed that this documentary acts as if it’s mere pointing out to us another one of the realities that we are supposed to accept and suffer with. Just another part of the BlACK Expieriance in America. I say Hell No! I am sorry it has taken me so long to respond to this thoughtful post. I do feel that the 13th is a call to action and there are dozens, if not hundreds, of people across the country working on the ground to change things. The recent election will set back but not deter these efforts. The importance of the film was that it got to a lot of people who hadn’t linked this all together and who won’t read the books and articles that do suggest actions. If you can recommend additional actions please feel free to share. Thank you, again. You are SO correct; this is not the type of material that would be bet served in a public venue; it pushed so many button that ares connected to so many painful memories and recollections. There are some things that I no longer plan to tolerate and entertain the views and opinions of people who refuse to grasp the authenticity of this subject matter. I’m done trying to educate people who refuse to “get it.” This is the most powerful, concise and brilliantly woven piece of Afro-American history reporting I have encountered. Bravo! !